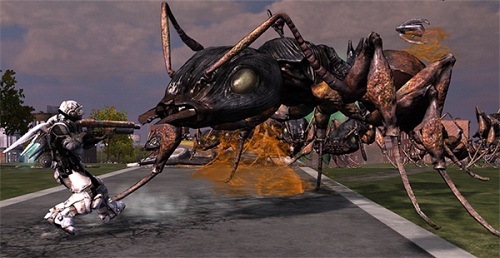 Evil Avatar user Anenome has written a mini-review of Vicious Cycle's bug slaying game Earth Defense Force: Insect Armageddon. The whole thing is over the shoulder, the enemies aren't annoying or too tough, but just right. They swarm and you destroy And if you miss a bug, there's a good chance you'll demolish a building behind it--destructible environments! Take a look at the rest of the review here and let him know what you think!